Designed for the coldest days of the winter, the Kamik Sienna Women's Winter Boot is fully insulated with Thinsulate™ from 3M™, meaning you can count on warmth in every step you take. If snow or slush is on your path the fully waterproofed bottom will keep you dry, and the DOVER RubberHe outsole will provide traction you can count on even if things get slippery. "What color are the bottom of the boots you in stock? The pictures are two different pairs." 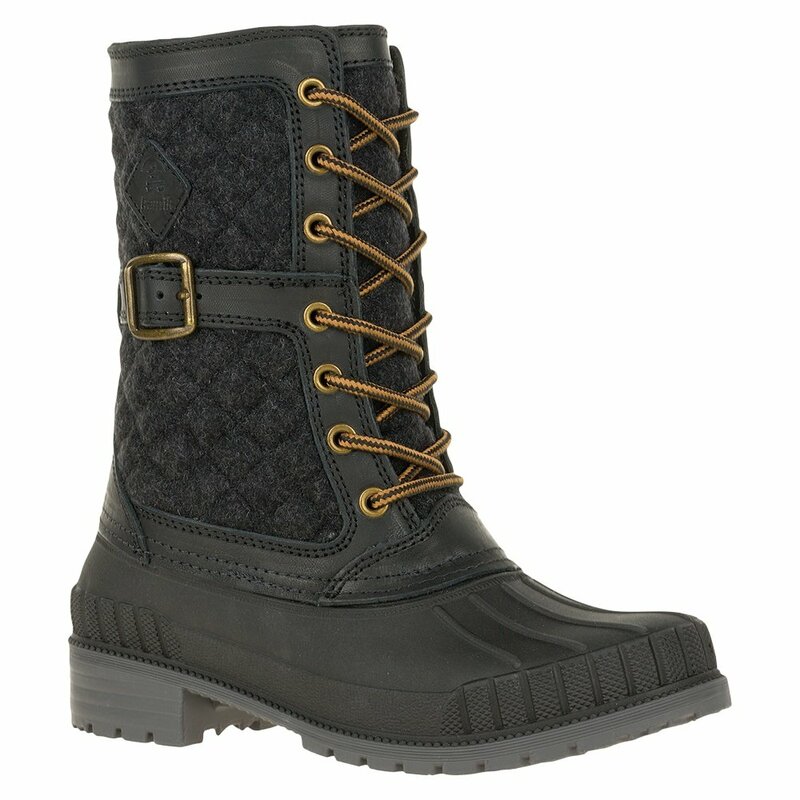 "The color of the Kamik Sienna Boot that we currently have in inventory is the Grey/Black with grey soles. Hope this information helps!" "Are these still available in black? The black picture is up there but you can’t select the color." "Thank you for your inquiry. At this time we only have the color Apple Cinnamon in the Kamik Sienna Boot available for purchase. We hope this information helps!"